Synopsis: The history of naval warfare is littered with incidents in which ships were sunk, with great loss of life, due to the enemy having intercepted badly coded or otherwise insecure signals. Whilst many people are aware of the strategic advantage gained by the Allies during World War Two by the cracking of the 'Enigma' code used by the German U-Boat fleet, few are aware that Allied naval codes were similarly cracked by the Germans, leading to significant losses of ships and personnel. 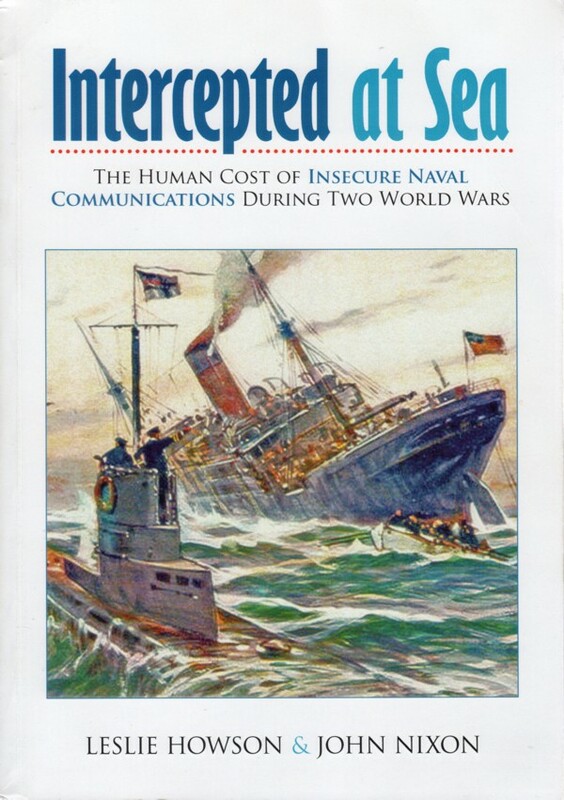 In this expansive study of the subject, Leslie Howson, a former naval telegrapher during World War II, examines the sorry history of careless and unguarded messages sent between Royal Navy and allied ships during two world wars, and the tragic consequences for thousands of seamen who lost their lives due to intelligence all too easily gathered by the enemy. These lapses of security could have been avoided, he argues, but for the stubborn refusal of the Admiralty to address the problem, and he supplies plenty of detailed evidence to support his claims in a highly informative narrative that encompasses the social, economic and political contexts of its subject matter. Those with an interest in maritime history will find much thought-provoking material in this forthright and sometimes controversial book, which pulls no punches in its criticism of 'the powers-that-be'. Book details: Paperback, 180 pages, 32.4 x 20.4 x 2 cm, 8 B&W images/figures, ISBN - 1-84683-020-6. Note: the partially-written manuscript of this book was passed to John Nixon for completion and publication leading up to the principal author's death in the 1980s. Purchasing options: Please click on one of the images below to be re-directed to your preferred outlet.